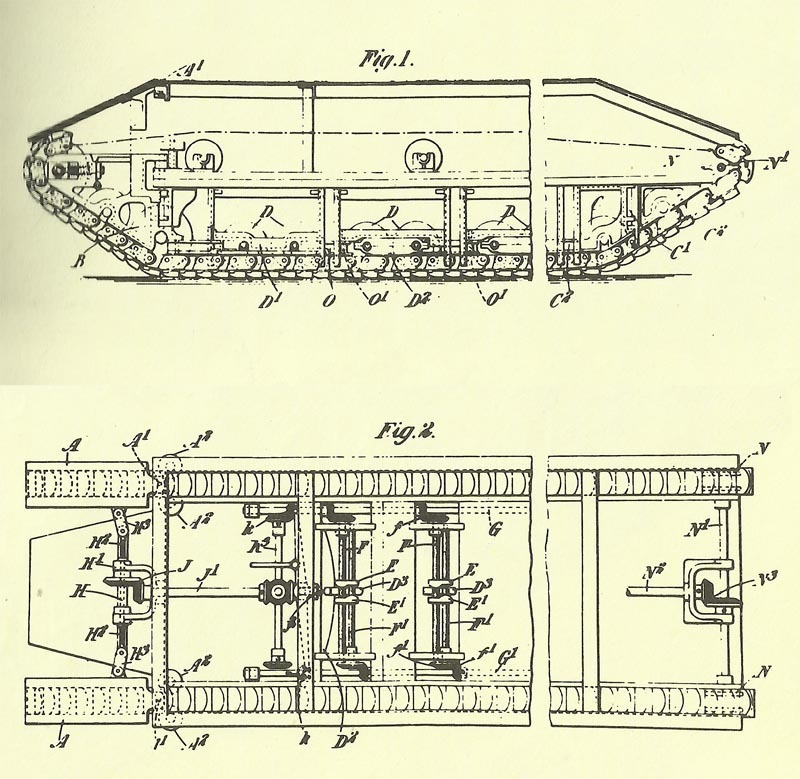 The original plan of the ‘Landship’ from de Mole dated from the year 1912. Churchill approves 18 ‘landship’ (tank) prototypes, orders all haste. Artois: Germans storm trenches near Notre Dame de Lorette, but French recover them next day. Foch sends Joffre a spring offensive plan. East Prussia: 16,000 Russian soldiers take Laugszargen and attack Tilsit but Esebeck’s German Brigade retake it on March 23. Carpathians: Russian general Brusilov takes 2,400 PoWs near Smolnik. Südarmee attacks near Kosziowa until March 27. France: Paris outskirts bombed (52 bombs, 9 casualties) by German Army airships LZ29 and LZ35. SL2 bombs Compiegne instead. LZ29 shot down by anti-aircraft fire near Saint Quentin (night March 20-21). Western Front: Belgian Aviation Militaire formed. Italy: Allies in principle accept Italy’s conditions. Italian military attaché leaves Vienna next day. Germany: Would-be Danish mediator Hans Niels Andersen sees Kaiser at Charleville after visit to Petrograd (March 1-7). Germany: Reichstag votes 3rd War Credit; Liebknecht and one other oppose, 30 abstain.